Since the installation of two wall murals at The Everyday Cafe in my village of Contoocook, NH, I have had a few inquires about my art for sale. A couple of items, a print and a card, are available for purchase at the shop: EW Poore Frame Shop, 775 Canal Street, Manchester, NH. Thank you to those who have inquired! Giraffe is available as a print, matted or unmatted. 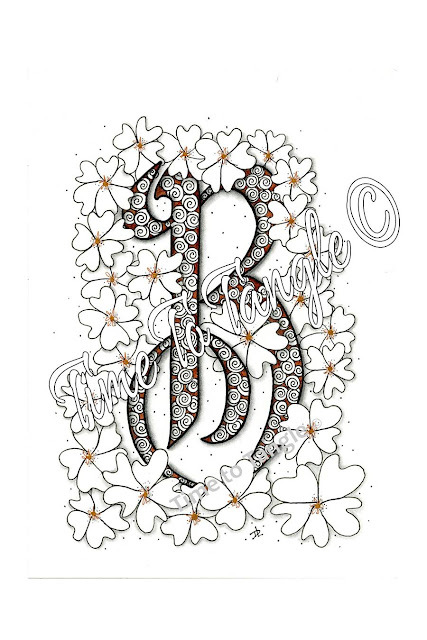 The "B" is available as a card, but could be matted and framed. Fall 2016 Class Schedule - Registration is Open! Call 603-626-2626 to register for this class only! Anyone can learn this unique, new art form. FUN, easy, mindful and fascinating! Saturday, October 15 • 10am - 2:30pm $49 includes all materials. Saturday, November 19 • 10am - 2:30pm $49 includes all materials. 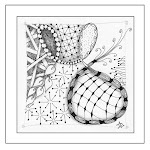 Have fun learning new zentangle patterns, strings and shading techniques! 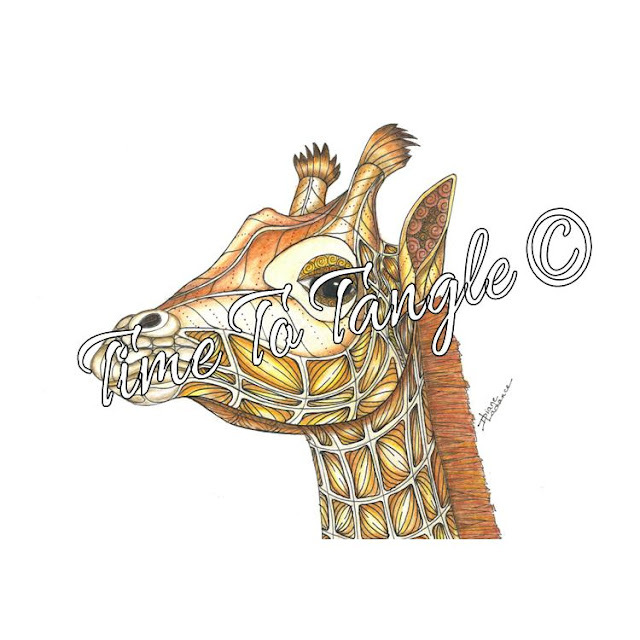 Learn and practice the basics of shading your zentangles! Enjoy a day of Christmas themed tangling! *Prerequisite of Zentangle FUNdamentals or Zentangle Basics is required. Recommend student materials list: Sakura 01, 08 and Graphic 1 black pens pencil and shading tool, Sakura Gelly Roll white pen, variety of quality colored pens, markers and pencils.